Eastern Europe was always on my list of places to visit after reading a book when travelling through Bali back in 2009. It was there that I picked up a tatty copy of 'Playing the Moldovans at Tennis', written by British comedian Tony Hawks. The book follows Tony's adventure as he takes on a bet to play and beat all of the 1997 Moldovan football team at tennis. Website: http://www.tony-hawks.com/books-videos/. A hilarious and fascinating read on a crazy adventure. I can definitely relate to that currently – with the mini tennis kit in a guitar case travelling around the world. Getting myself in the many amusing situations and often thinking ‘what am I even doing here’. Another worthwhile title by Tony Hawks is 'Round Island with a Fridge', an equally brilliant adventure. 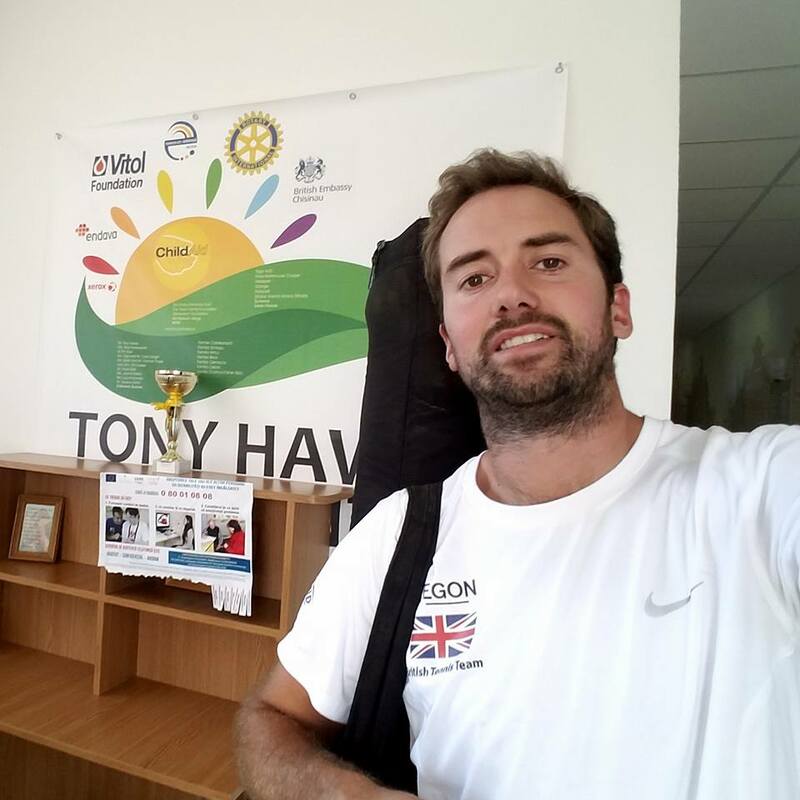 The result of Tony’s Moldovan adventure was the Tony Hawks Children's Care Centre in the capital city, Chisinau. Website: http://www.tony-hawks.com/philanthropy/. Much of the book and film proceeds go towards this centre. I couldn’t wait to see what Tony and his team had managed to achieve, as have been keen to make sure we leave our own legacy as we travel through each country. Once in email contact with Tony, he encouraged me to come out to the centre and put me incontact with the Director, so I booked a last minute flight out into Eastern Europe. My first stop was Kiev, Ukraine where I met up with Ivan, a friend I met in Nicaragua earlier in the year - it's amazing all the contacts and people you meet on the road. Ivan welcomed me in the crazy early hours of the morning and gave me a locals tour of the city. Unfortunately I have arrived during their national holiday celebrating their independence (below), therefore no schools are open for me to visit in my short window.. The independence marches were bold, almost hostile, with the government clearly puffing it’s chest with all of the armed forces on display. In fact, after the photo below was taken, one of the army officials proceeded to confiscate the cameraphone, smash the back camera and hand it back to me (nice). Ivan has agreed to be one of our ambassadors to get one of the Zsig Sports equipment packs into a local primary school and to follow up with us in the near future. I look forward to coming back here in years to come (most likely with a new cameraphone in hand). After my short stopover I flew into Moldova and arrived at the capital, Chisinau. Moldova. Greeted by an incredibly nice taxi driver, who explained about the local bird of prey that looked over the airport carpark and how happy he was to provide for his family. Moldova is probably best known for being the poorest country in Europe and the least visited by tourists - so I had kept my expectations pretty low. 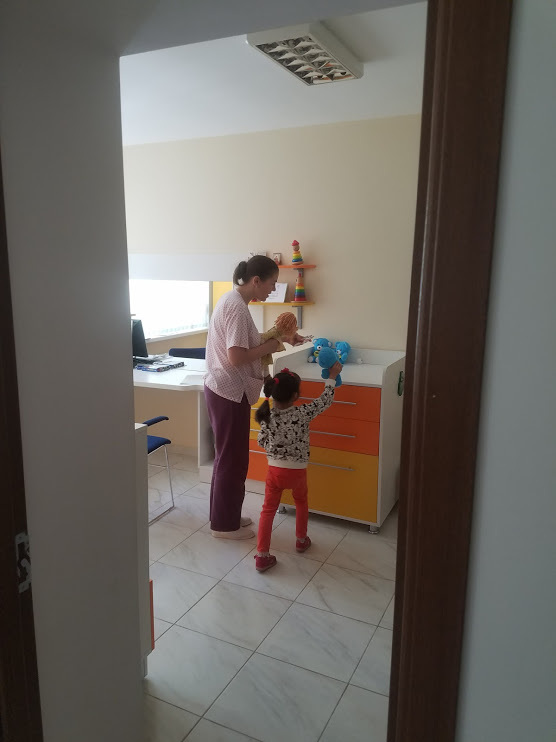 After checking into the basic, but homely, hostel I am looking forward to seeing what awaits me at the Children's Centre. On arrival I'm struck by the clean modern building, in stark contrast to much of the desolate communist buildings that I had passed on my way into the city. I am greeted by the centre’s Director Diana Covalciuc who gives me an incredible warm welcome and a tour of the facilities. And what facilities they are! 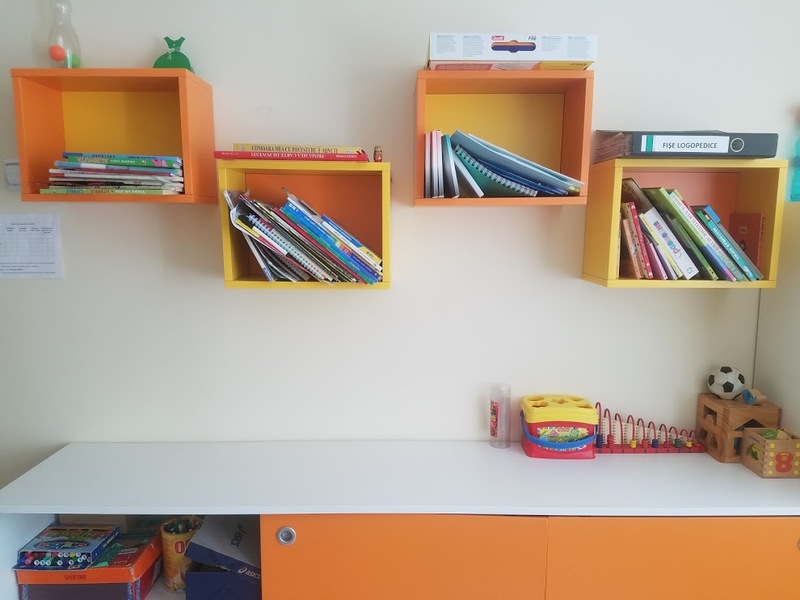 The plot of land, which was initially a rundown house... Is now home to a modern facility with specific care rooms, which would sit comfortably in any western city. Areas include the Speech therapy room, Play room, Sensory room,Physiotherapy gym and Aquatherapy pool (above). Meeting the inspirational staff, I get a chance to play tennis with a few of the children on the roof area (below). We especially brought an inclusive Zsig kit with us, including; floating squares, balloons, sponge balls and racquets. There was some serious fun had, as they achieved success at each level of min tennis progression. The parents looked on in astonishment as the children completed their first rallies. Success! The fun of playing the game. Safe to say that they were hooked. Both boys went up to their carers and asked if they could stay longer... We continued into a two hour session (it was hot on that roof). 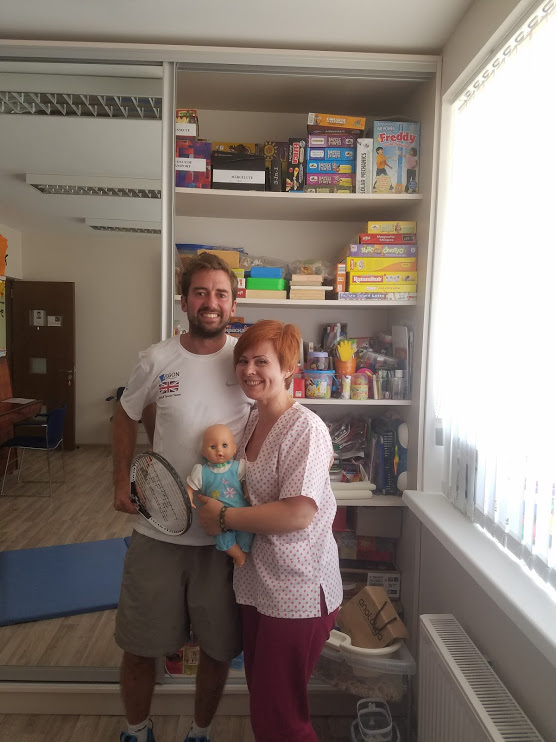 After our tennis Diana and myself sat in the office looking through the Zsig website and their inclusive equipment https://zsig.com/collections/early-years-coaching. She almost came to tears with what was on offer - as she explained the impact the equipment could have on some of the children in the centre. A quick visit, but one of the most rewarding and inspirational of this whole trip. The inclusive equipment will be a well used asset to the child care offering at the centre and I know it will be well used by the staff at the centre. The logistics of getting the kit out there we will be discussing further.